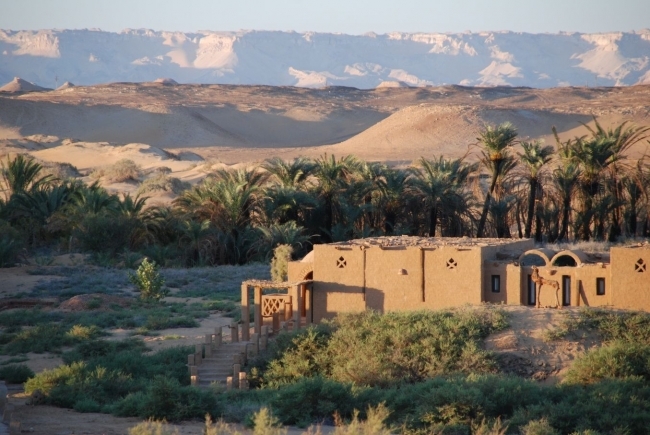 Offering a breathtaking location in Dakhla Oasis, Egypt, Al Tarfa Desert Lodge is one of the world’s most pristine destinations and can be considered a “home in the Sahara”. The lodge is a distinctive and discrete twenty-room eco-friendly property. 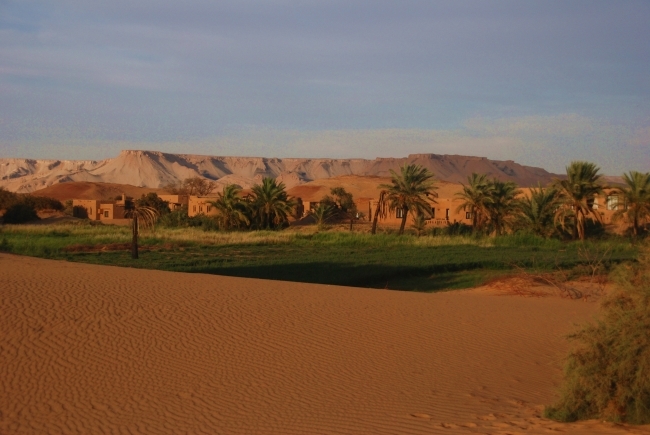 Guided walks into the surroundings oasis and deserts, horseback riding and cultural excursions are among several activities offered by Al Tarfa. The Lodge also offers opulent spa facilities and admires the Saharan architecture, chic furniture and the luxurious, artistic ambience, which pervades throughout. A 5-night Stay at EUR 650 per person in a double Oasis Suite. All Inclusive accommodation for a total of 5 nights. 2-way flights from Cairo to the oasis with transfer from and to the airport. Although the spa facilities (sauna, heated pool, steam and gym) are available and free of charge, there are no therapies available during the summer months. Excursions to the surrounding deserts and historical sites can be arranged at Net EUR 35 per person per excursion. There are two flights per week to the oasis (on sundays and tuesdays) otherwise the included transfer services will be by air-conditioned car.